Running from the top of the vertical cliffs overlooking Lusty Glaze Beach, our abseil is sure to give you a challenge you will want to beat! Upon arrival at the beach, a qualified instructor will greet you and harness and safety brief before you begin. You will start by easing yourself over the edge of the cliff before lowering yourself 120ft down to the beach below, taking in some amazing views of the bay, guided along the way. This activity requires you to wear trainers and comfortable, loose clothing for freedom of movement. 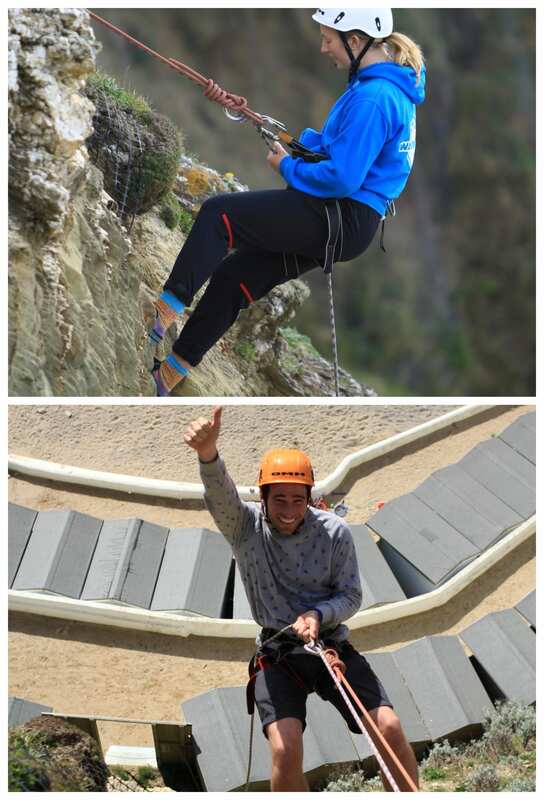 To book abseiling, you will need to have a group of at least 10 people. Why not try one of our Mini or Ultimate Jet Ski Safaris?